Investing in the BRICs (Brazil, Russia, India and China) really has been like watching a bunch of poor shot attempts bounce off the rim. Where to begin? 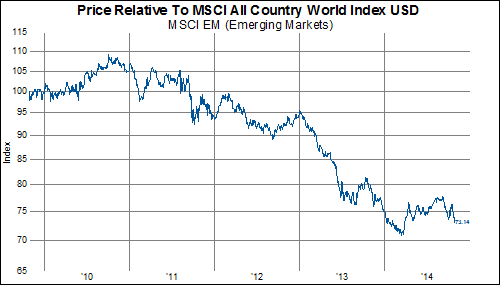 The Emerging Markets in general have hugely underperformed the MSCI All Country World (ACWI) index over the last few years. Yesterday, Brazil’s plunge was the latest BRIC to clank off the rim. 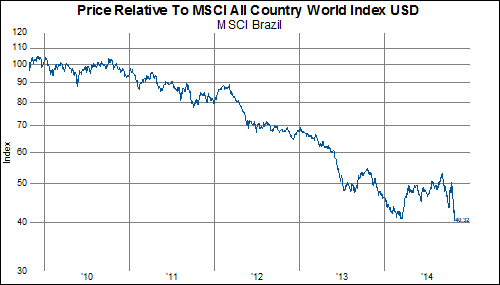 Brazil is now at 5 year lows relative to the MSCI ACWI, having underperformed by 60%. 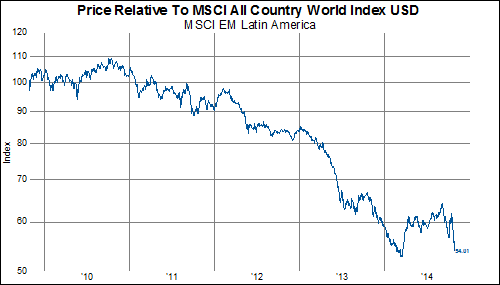 This, in turn, has taken MSCI Latin America to within 1% of a new low relative to the MSCI ACWI Index. 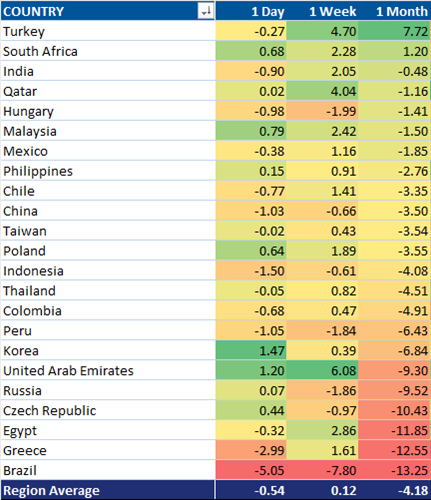 Over the last month Brazil is the worst performing country in the MSCI EM index, with the average stock down over 13%. 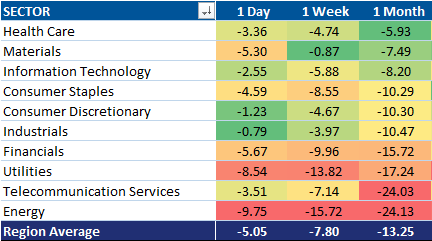 Within Brazil, the worst performing group is the energy sector and the best performing sector is the health care sector. 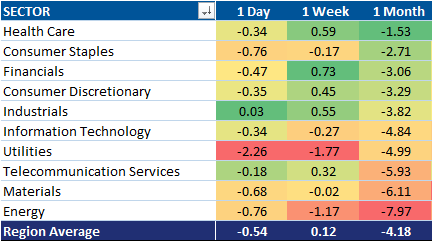 This is perfectly consistent with broader performance trends withing the emerging markets. 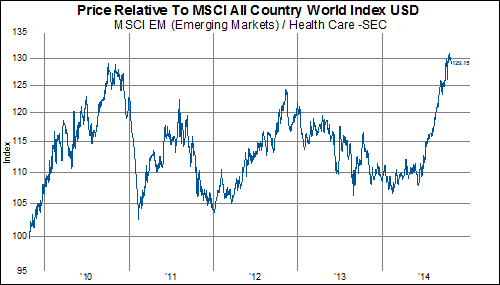 The MSCI EM healthcare sector is the best performing sector over the last five years, having outperformed the MSCI ACWI by 29% over the last five years. 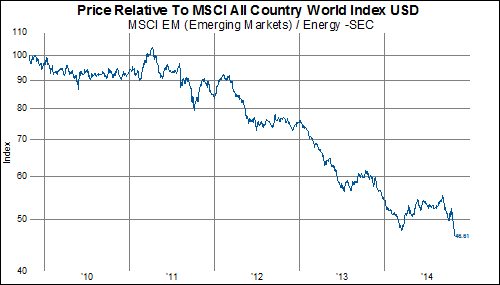 At the same time, the MSCI EM energy sector has been the worst performer, having underperformed by 55% over the last five years.